Just two years ago we photographed Jason’s sister wedding, and it was great pleasure to meet the family again! 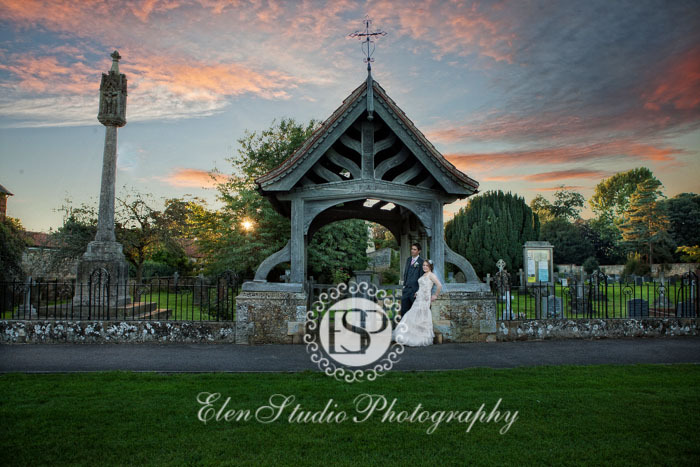 It was a wonderful Autumn day in Cotswolds when Julie and Jason got married. 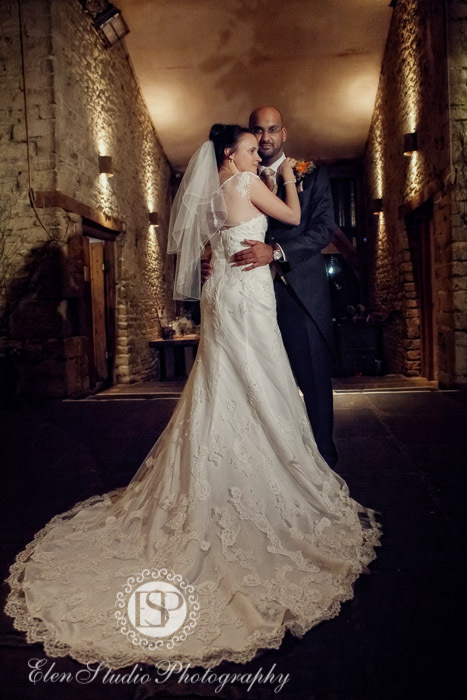 The wedding day started at a hotel in a pretty village of Bibury where Julie and Jason had their wedding preparations. Julie’s got beautiful dress with fine lace, excellent choice! The theme of the wedding was Autumn/rustic, with red, green, orange and brown colours; the theme, flowers and all wedding decorations were perfectly matching the time of the year. Julie and Jason, it was so nice to be part of your wedding day – all the very best to you! 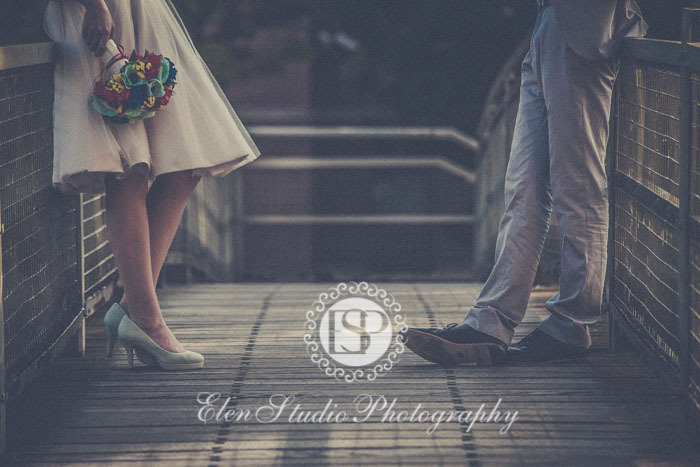 This post is about one beautiful vintage wedding in Nottingham. It was absolutely wonderful day. Nice and warm weather, lots of smiles and loughs. You know Faye and Dave from their pre-wedding shoot. And now I want to share with you some photos from their amazing wedding. The ceremony was in beautiful Nottingham Council House and the venue in the Canalhouse Pub located next to the Nottingham canal. Lovely place. We had opportunity to walk a little bit around and take some nice pictures. Beautiful wedding dress and bridesmaids dresses, a very special and cute wedding cake, an unique Faye’s ring, amazing flowers. All these things were made by their very talented friends. Also I love the make up and vintage hairstyle. Everything was unique, special and stylish. All the best to Faye and Dave! This wedding was an unusual one – the ceremony at Fulbeck, Lincolnshire, was the second one for Emma and Andrew; their first wedding ceremony was held in Australia a few weeks before. Despite this, the two weddings were very different in terms of people, atmosphere etc. Just a week before the wedding the weather was not great at all with rain and cold winds and we even discussed with the bride and groom to get an umbrella. The weather on the wedding day, luckily, turned to be rather nice. Having sunny afternoon, cosy church ceremony and excellent live music after the ceremony, the atmosphere of the wedding day was just fabulous. There are some special things which I want to mention. I never saw so beautifully made artificial flowers which looked like real ones. On the wedding day Emma did wear watches that her mother did put for her wedding – “something old”. I like weddings with flower girls and little children involved. The flower girl was absolutely beautiful. The page boy was brave, given that he was just over one year old. Emma and Andrew, wishing you all the very best! Following the recent pre-wedding shoot of Alona and Dmitriy, I’m now glad to share with you their wedding photographs. The guys have chosen beautiful Dudley Hall for their ceremony. 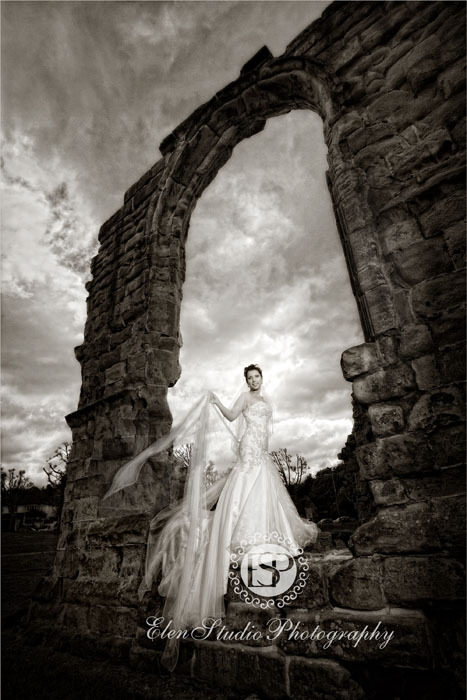 There is a great park next to it with everything you need for a wonderful wedding photo shoot. The wedding’s theme was purple orchids; I like when brides wear colourful shoes and this was exactly the case here. As the day went along, the weather was changing from bright sunshine to overcast with thick clouds and this also helped us to create variety of pictures. Alona and Dmitriy, it was pleasure to photograph you and to capture your wedding’s atmosphere. All the very best to you! Following last year’s success, I’m pleased to say about winning of three wedding photography awards in the this year’s annual East Midlands regional photography competition organised by The Master Photographers Association, a society for professional photographers. In the 2013 competition which took place a week ago, I became a winner of Licentiate Wedding, Licentiate Portrait, Portrait under 5s; Some photos were given status Merit or took 2nd or 3rd places in other categories, such as Wedding Classic. 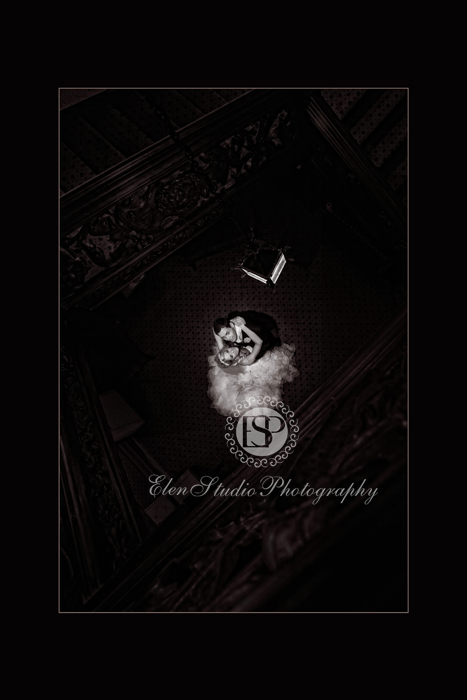 I would like to thank everyone who chose us to be their wedding or portrait photographer! Without you, the pictures would not be as they are! Here are the winning photos. This was an interesting wedding organised at some great locations of the Peak District National Park. The bride had a vintage style thought-out to details. 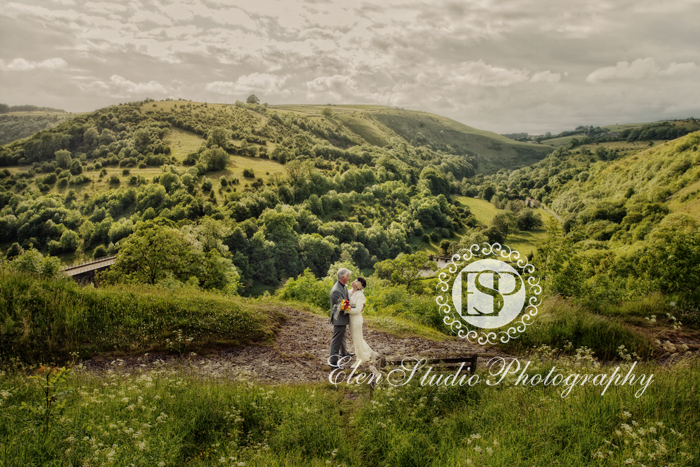 The couple chose beautiful Matlock Town Hall for their ceremony, followed by visiting Monsal Head with it’s breathtaking view over the river and the railway bridge. Then we all moved to a little cosy village of Ashford-in-the-Water and finished the shoot at the Riverside House Hotel where Margarita and Simon celebrated their Big Day with close family and friends. As for the weather, we were lucky to avoid several really heavy showers on the day whilst we were out shooting allowing us to do some great shots! All the very best to Margarita and Simon on their wedding day! Wedding of Varsha and Amit was held at the National Motorcycle Museum, Birmingham, in best traditions of Indian Hindu weddings. The celebrations commenced from the Baraat – Amit’s arrival on a horse, accompanied by happy music, family and friends. Then the Milne, Varsha’s family welcoming Amit’s family, followed by civil ceremony and the Hindu ceremony itself held at the mandap. The day proceeded with a first dance, cake cutting and wedding dinner followed by dancing. The final part of the day was another Asian wedding tradition, Vidai, when Varsha officially leaves her family with her husband. 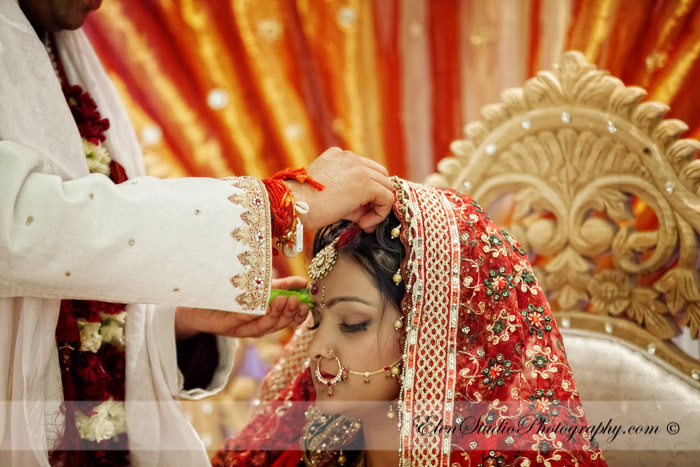 This was a very emotional part of the wedding day as you can find from the photographs. Photography of the wedding day was mostly done in reportage style because lots of traditions were involved and it was important to capture the atmosphere and emotions. We also had few minutes to photograph Varsha and Amit on they own and this added to the variety of pictures. Varsha and Amit, all the very best to you! That was a great experience and pleasure to witness and photograph your happy wedding day! Becky and Alex chose a great place to get married – Nailcote Hall Hotel, a small and cosy wedding venue with its own golf course, located just at the outskirts of Birmingham. 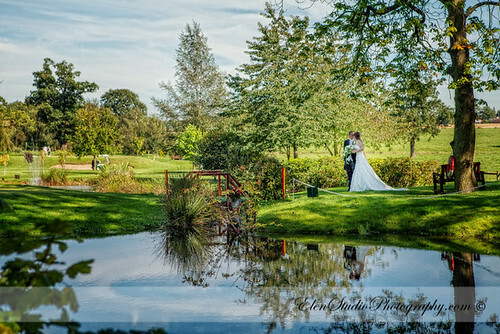 Beautiful grounds and the hall itself, as well as the ceremony room, were ideal to take wedding pictures of the couple. Both the bride and the groom were relaxed and joyful throught the whole day and this mood was sent to the guests creating excellent wedding atmosphere. The weather was also there to help the wedding day to be a memorable sunny day. Many little and cute wedding details and decorations, such as cake and signature frame were adding to the atmosphere of the day. Becky and Alex, it was great pleasure to photograph your wedding day and previously your pre-wedding session – wishing you all the very best! Louise and Neil had their wedding at one of the most beautiful buildings of Derby’s Cathedral Quarter – at the Cathedral Quarter Hotel. With its grand staircase and the window ornamented with glass mosaic, the hotel’s interior, as well as the 19th century facade, were a great place to photograph the bride and the groom. Louise’s preparations were accompanied by her sisters-flowergirls, and Neil’s best man was his brother – it was great family atmosphere through the whole day, with lots of fun and laugh. The celebrating atmosphere of the day was completed by nice and cute wedding details: decorations of the breakfast hall, wedding cake, cards cage, beautiful bouquet and many other things. 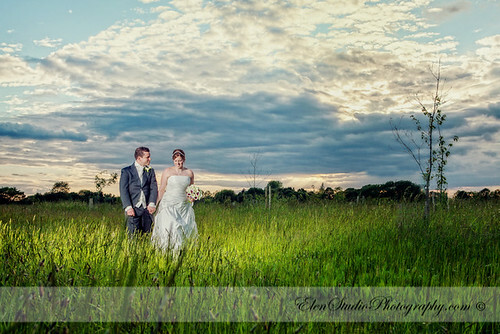 Louise and Neil, it was pleasure to meet you and photograph your wedding – all the very best to you! P.S. See wedding suppliers details at the end of this post. The wedding of George and James was held at the Maiden’s Barn in Essex. 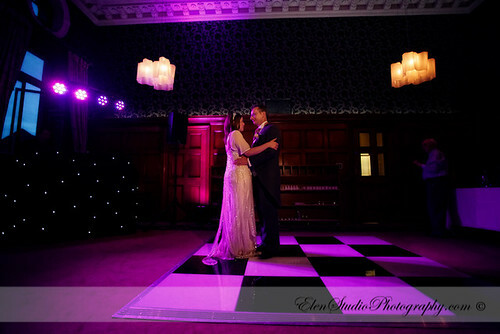 The wedding theme was a beautiful combination of purple and green colours. All decorations, from wedding invitations to table plan, were in the same style and handmade by the bride. George and James also brought some other interesting ideas, like a “fingerprint” tree, or a “guest notes” bottle with wishes from guests. Prior to the ceremony, all the guests were shown a slideshow of George and James’ pre-wedding photos. The family and friends also had great deal of support to the bride and groom. We were lucky with the weather, despite few drops of rain in the morning, the afternoon turned out to be very warm and sunny with beautiful sky throughout the whole evening. We had great opportunity to take various pictures around the grounds at the venue. George and James, it was such a priviledge to be at your wedding and pleasure to photograph you and your families – all the best to you!